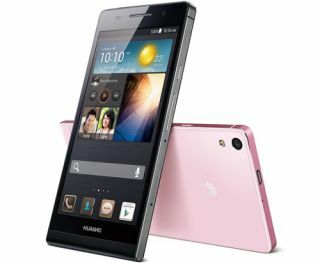 Huawei Ascend P6 is world's slimmest smartphone | What Hi-Fi? Huawei has today unveiled the world's slimmest smartphone, the Ascend P6. The P6 measures just 6.18mm slim and weighs a featherweight 120g. It is due for release in the UK in July. The Ascend P6 is the flagship phone of the Huawei P series and features a 1.5GHz quad-core processor, Android 4.2.2 operating system and a 4.7in HD screen. Available in black, white or, erm, pink, the P6 also comes with a 5 megapixel front camera and an 8MP rear camera which will enable 1080 full HD video recording. "Building on the success of our Ascend P series of fashion smartphones, the P6 provides unsurpassed technology and a design that is simply stunning." Slightly exaggerating? Perhaps a little. But for a phone weighing just 120g it doesn't look at all bad. Look out for our Huawei Ascend P6 hands-on review very soon.